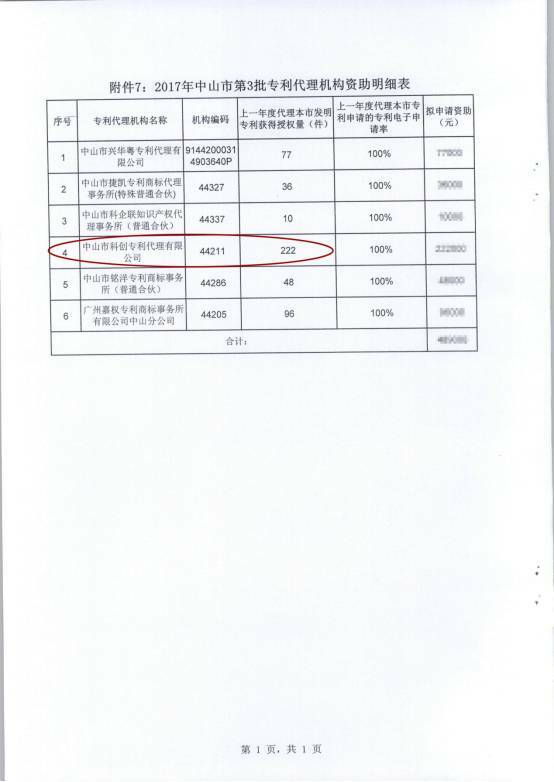 According to the statistics of the Zhongshan Municipal Science and Technology Bureau, we have been authorized to obtain 222 patents for the invention patent of Zhongshan in the last year, once again leading the company in Zhongshan City! Our company, adhering to the "Quality First, Customer First" business philosophy, is committed to becoming the most trustworthy intellectual property service company and has established an evaluation system prior to the application for invention patents. Patent agents will fully retrieve and evaluate the patent application before application, evaluate the authorization rate in the patent application process and give the client better professional advice, ensuring that the client can obtain effective guarantee through the invention patent authorization applied by our agency. Therefore, the authorized rate of invention patents applied by our agents is also kept at around 50%. 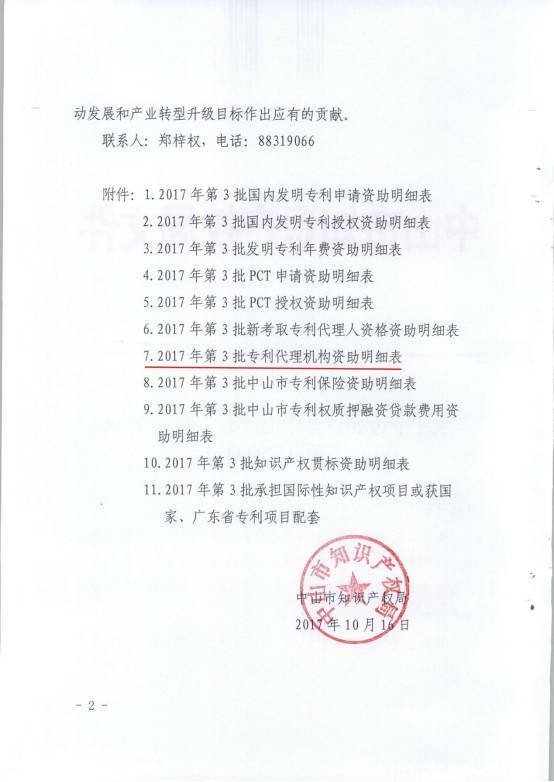 The amount of granted invention patents is in a long-term leading position in Zhongshan City all the year round, fully protecting the legitimate rights and interests of customers and winning the trust of clients.